"Today I'm participating in a group blogging! WOW! Women On Writing has gathered a group of blogging buddies to write about finding love in unimaginable places. Why this topic? We're celebrating the release of Michael French's twenty-fourth novel. 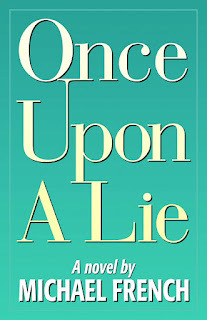 Once Upon a Lie(Terra Nova Books) is an exploration of the secrets families keep, and the ways those secrets can tear a family apart. Visit The Muffin (http://muffin.wow-womenonwriting.com) to read what Michael has to say on finding love in unexpected places and view the list of all my blogging buddies. 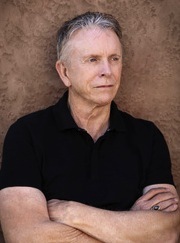 Visit Michael's website (http://www.michaelrfrench.com/) to find out more about the author." Finding love in unimaginable places - an interesting topic. When I was single and living in New York City, I used to imagine finding the love of my life in the Laundromat on Lexington Avenue. I'd put the quarters in the slot, pour in the Tide, and picture him throwing his dirty socks into the machine next to mine. He wasn't tall, dark and handsome. In fact, I never really had an image of him - just the idea. It was romantic. The hum of washing machines and dryers, our song. We'd start a conversation and, well…you can make up your own stories. Lucky for me though, that never happened because if it had I'd never have met the true love of my life. Without embarrassing him completely, below are a few lines from a short story I wrote about that auspicious meeting. He sat across the room. Jeans, faded just enough to give them that soft well worn look as comfortable as an old friend, clung to his firm thighs. A tan corduroy sport jacket showed off his strong wide shoulders. She liked the pipe clutched between his teeth and the way his eyes crinkled when he smiled. The thick, dark brown mustache lining his upper lip completed the package – masculine, sexual. There were five other people in the room, but he was all she saw. Perhaps the Laundromat is more unimaginable than a studio apartment in New York City. I'll leave you to create that story. While you're thinking about it, here are a few more lines from my very short piece. I'll set the scene: It's a hot summer day; my guy and I have taken a long walk on the beach. Thirsty, not having a bottle of water since it's 1971 and Poland Spring hasn't been invented yet, we stop at a friend's house. She offers us a drink and a frozen chunky bar. A chunky bar, a two inch cube of milk chocolate studded with raisins and chopped nuts. Initially, it was hard to get her teeth through the dense candy, but once bitten it melted in her mouth. The chocolate coated her tongue and cheeks. He tasted the sweetness on her lips. Now, many years later, she recalls the taste of the chocolate confection and remembers the corduroy jacket that no longer fits. And she loves the way his thick, gray mustache tickles when they kiss. Now, back to this group blog and Michael French's novel. I’m putting it on my "to read" list. 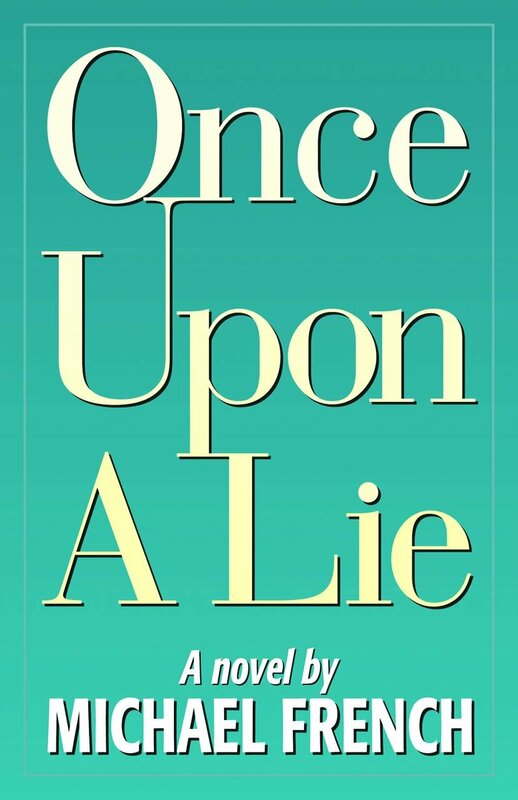 About Once Upon A Lie: Twelve-year-old Jaleel Robeson is on the run after the police in his tiny Texas town try to frame him for the death of his father. A world away, Alexandra “Alex” Baten is growing up amid all the material comforts a wealthy Los Angeles lawyer can provide. One day, a simple cup of lemonade unites their lives, leading to a maze of adultery and murder that shatters Alex’s youthful innocence and Jaleel’s struggle to reshape his life. Thank you, Angela. I've got to get on the site and read the other blogs. If your's is one, I'll be sure to comment. Your words really capture how delicious love can be! Great descriptions! Thanks for participating! The taste of chocolate conjures up memories of romantic love...I like that. Thanks Michael. Your novel sounds exciting and that cup of lemonade definitely makes me want to read it. Good luck with the book. Love rarely happens according to plan, but I'm convinced that if we don't give up we are likely to find a bit of loving bliss.